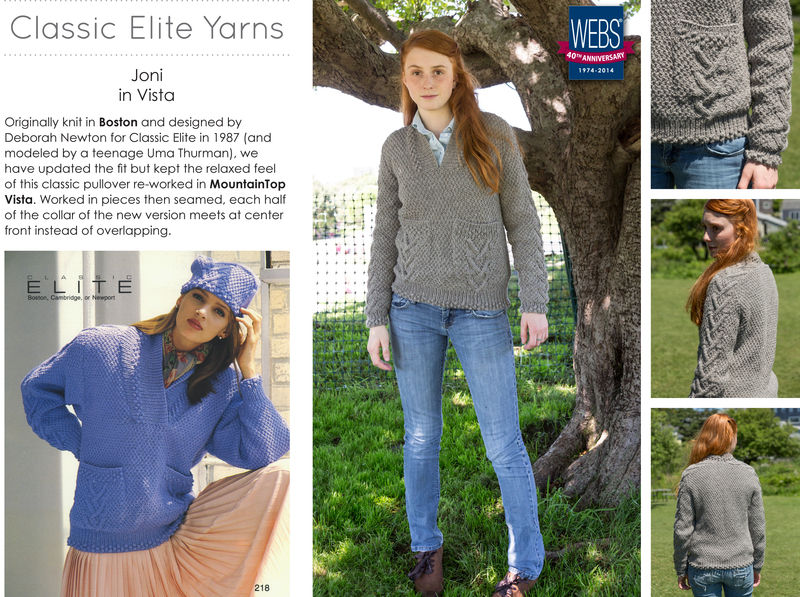 WEBS Yarn Store Blog » Classic Elite Celebrates WEBS 40th Anniversary! Classic Elite Celebrates WEBS 40th Anniversary! Our 40th Anniversary year has already been full of so many great pattern and yarn collaborations and the newest one is no exception. 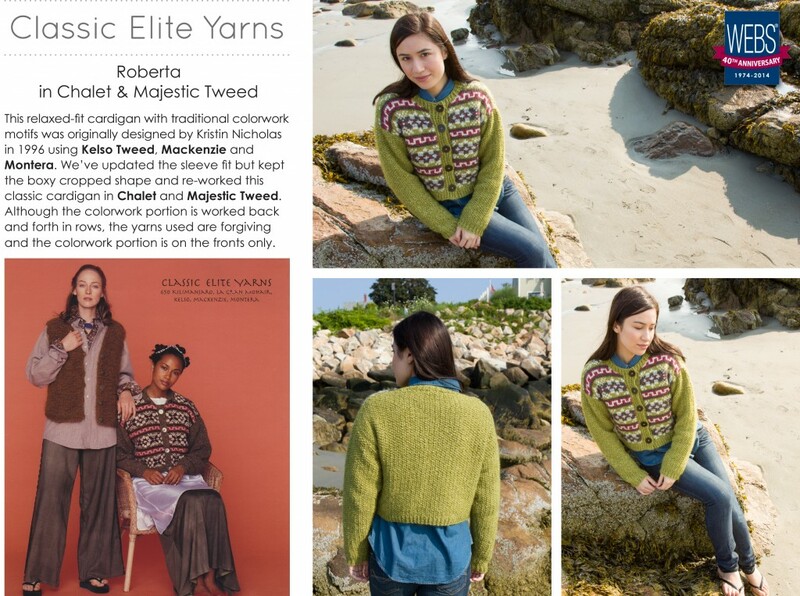 Betsy Perry and the staff at Classic Elite Yarns have pulled 3 beautiful patterns from their vaults and given them new life in new yarns and colors, and on top of that they’ve designed a gorgeous cardigan just for our anniversary! Joni is worked in Vista, a squishy soft blend of super fine alpaca and wool with a subtle halo. This sweater is sure to become one of your 3-season favorites. You can see the original sample pictured on a teenage Uma Thurman, a one-time resident of Amherst MA. where our first store was located! Roberta is a classic drop shoulder cardigan with beautiful color work on the front panels worked in a combination of Chalet and Majestic Tweed. The updated color scheme and combination of solid and tweed yarns really make this a stand out wardrobe piece. 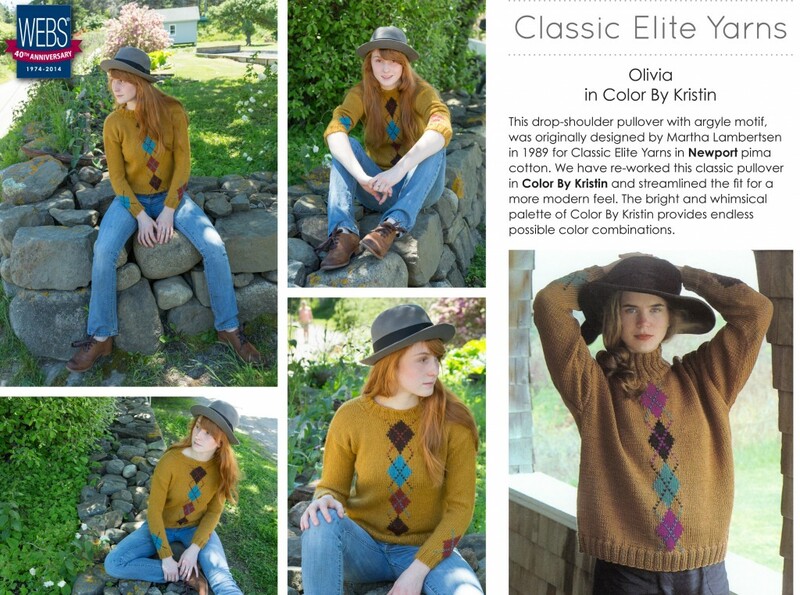 The fun argyle accents on the Olivia pullover can add the perfect pop of color to your fall wardrobe, especially when knit in the vibrant colors available in Color by Kristin. Finally Classic Elite has unveiled a brand new design for us in their lovely Soft Linen yarn. Dianna is a long, cabled, open front cardigan, the perfect layering piece. Each of these patterns is available individually or together in one eBook. 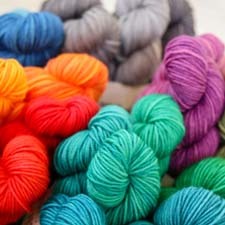 And you can see all of the garments in person at our retail store on Sept. 18th when Betsy Perry and her staff stop by to introduce us to all of the new Fall yarns and full line of designs. The event is free but please register. This entry was posted on Thursday, September 11th, 2014 at 9:00 am	and is filed under 40th Anniversary. You can follow any responses to this entry through the RSS 2.0 feed. You can skip to the end and leave a response. Pinging is currently not allowed.